Goddess Gaia is the great mother of creation and the soul essence of the earth itself. Her energy provides potent nurturing support. You must be grounded in order to connect with this powerfully healing and replenishing mama earth energy. 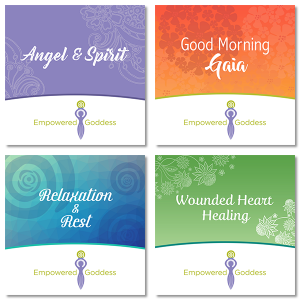 Being grounded invites the healing essence of Goddess Gaia into your auric field. When you are grounded and rooted in mother earth, an energetic bridge is created that directly connects your auric field to the loving energy she provides. You are then deeply supported and nurtured on all levels by her gentle restorative energies. Being grounded supports a sense of well being on all levels. Grounding provides support for anyone who struggles with being present in the here and now. When you are rooted in the earth, a sense of calm safety is created. When you are grounded, the integration of healing shifts and changes becomes easier. It also provides a more balanced and harmonious life experience. 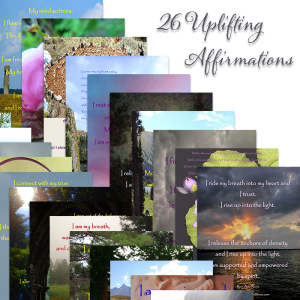 So, the next time you are feeling off kilter, take a moment to ground. And before you know it, you will be feeling balanced, calm, nurtured, protected, and safe!